Cardinity provides a safe, effective and economic online payment platform which opens up your e-business to credit and debit card payments. 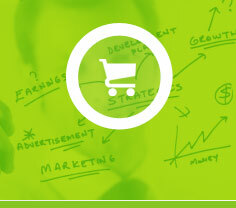 The service is provided to e-commerce businesses in Europe. Accept all major credit and debit cards for a minimal cost. Get online faster and FREE reliable 24/7 support! eWAY is the UK's market leading PCI compliant payment gateway helping you save time and money! Suitable for merchants from European Union countries, Australia, New Zealand, India, Hong Kong and Singapore. Providing electronic commerce and payment processing services to financial institutions, governments and merchants in more than 50 markets around the world. It provides fast, secure checkout process that helps increase sales by bringing you more customers and allowing them to buy from you quickly and easily with a single login. Skrill is the cheaper way to send and receive money worldwide. Secure and convenient online payments. More than 10 million customers and 50,000 merchants. Accept debit and credit card payments, subscriptions, online payments and more, in multiple currencies and languages. RBS WorldPay - safe, secure and fast, available for merchants from European Union, USA, Australia, New Zealand, South East Asia and other countries. Merchant services including online payments, internet merchant accounts and credit cards processing. Payment Gateway (previously SECPay), Complete Solutions - Open your account and accept payments and credit cards online! Optimal Payments is a payment gateway offering secure electronic checks & credit / debit card payment processing services. Accept all credit card payments with Optimalpayments merchant account services. Probably the most popular ewallet in the world, which let's users across the globe to send and receive online payments without disclosing your sensitive cred card data. It is the faster, safer way to send money, make an online payment, receive money or set up a merchant account. PayPal accepts merchants worldwide. Sage Pay is the UK and Ireland's leading independent payment service provider (PSP). Catering for businesses of all sizes, Sage Pay makes accepting payments online, simple, fast, secure and profitable. Stripe makes it easy to start accepting credit cards on the web today.